In 2010, Congress approved the Formaldehyde Standards for Composite Wood Products Act (the Act). The legislation, which adds a Title VI to the U.S. Toxic Substances Control Act (TSCA), establishes formaldehyde emission limits from composite wood products including hardwood plywood, medium density fiberboard, and particleboard intended for import, distribution, or sale throughout the United States. These national emission standards mirror existing standards published by the California Air Resources Board (CARB) for composite wood products sold, offered for sale, supplied, used, or manufactured in California. Congress directed the U.S. Environmental Protection Agency (EPA) to develop regulations to implement the requirements specified in the legislation. In June 2013, the EPA proposed two draft regulations – the Third Party Certification Rule and the Implementation Rule which establish requirements for panel producers, fabricators, importers, distributors, and retailers who manufacture, supply, or sell composite wood products intended for the United States market. The draft EPA regulations incorporate additional product types and requirements not covered by existing CARB 93120 regulations in California that will impact all businesses along the wood products industry supply chain. Benchmark International is committed to supporting the wood products industry and to help you make sense of these new laws. We continue to support companies, wood industry associations, and the EPA to craft effective, sensible, and achievable regulations that deliver on the goal of protecting the public health. 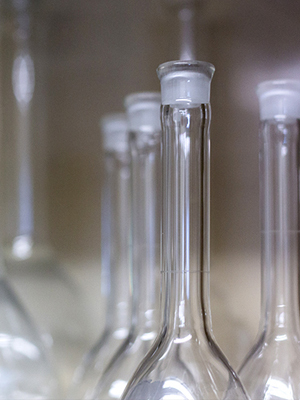 EPA continues its work to finalize the proposed TSCA Title VI regulations. Final approval and publication is expected by late 2015 or early 2016. Once the final regulation is published, we will update you with the information you need to effectively and efficiently comply with these new requirements. The EPA recently released a new regulation to protect the public from exposure to formaldehyde. This new regulation includes additional products not covered by CARB and will impact multiple businesses throughout the wood products industry at both the primary and secondary points of manufacture.